This page document the course of discussions that lead to the founding of Leistavia. Below are edited portions from conversations taking place via email and on the internet. The most recent is at the top. Some interconnections between Estonian, Pitcairn and Norfolk culture that have been located are: borders have been open to cultural influence and diversity; trees and green energy; a particular sense of architecture, old walls; mediation by technology. Mutineers who burned the British ship Bounty in Pitcairn Island in 1790 stopped being British subjects when they did it, the Pitcairn Court of Appeal has been told. In the court hearing, held in the High Court at Auckland [New Zealand] yesterday, Adrian Cook, QC, told three appeal court judges that Pitcairn had never been under British jurisdiction. In the mid-1980s [in Estonia] .... dangers united the people, and massive protests occurred. On August 23, 1987, dissidents in Tallinn organized the first political demonstration. The economic autonomy plans of the legal opposition were fully supported. Social and economic ideas developed rapidly, and the society became organized. At the joint conference of the creative unions on April 1--2, 1988, a programme of action was presented: extending Estonia's economic and political rights, halting the immigration flow, rehabilitating the victims of Stalinism, cultural independence. The Popular Front was founded on April 13, and united masses. The national flag was restored. The unprecedented political activity during the summer of 1988 shook the post-Stalinist society thoroughly, the historical memory of society was restored. 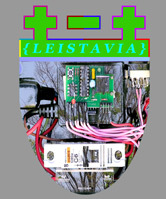 As a result of public pressure, the Supreme Council passed a sovereignty declaration on November 16, 1988, which acknowledged the supremacy of Estonian laws.... On August 23, 1989, the popular fronts from the Baltic States organized a 600 km long human chain from Vilnius to Tallinn, demanding freedom for the Baltic States. In January 1991, Moscow interfered directly with the internal affairs of Estonia, but this did not lead to the fall of the legal government. On the referendum of March 3, 1991, 77.8% of the population (including 1/3 of the immigrants living here) supported restoring the independence of Estonia. On August 24, Russia acknowledged the independent Republic of Estonia. On August 27, the EEC States, on September 2, USA and on September 6, the Soviet Union, recognized the independence of Estonia. On September 10, Estonia became a member of the CSCE and on September 17, of the United Nations Organization. My basic thesis is that Pitcairn was the first 'Intentional Community' to be founded within Oceania. As such the mutiny [on HMS Bounty] was one of the first fundamental acts of schism & heresy against the dominant thrust of European imperial expansion which for the sake of historical convenience may be dated as beginning in 1492. This expansion has been referred to by some historians as 'The Great Western Liberal Project'. The Pitcairn/Norfolk 'experiment' may be constructed as both a reproach to & critique of, mainstream western civilization; *_particularly_* it's legal-rationalist-bourgeois core. (1) ... Universally recognized principles and norms of international law shall be an inseparable part of the Estonian legal system. No one's honour or reputation may be defamed. (1) No one may be subjected to torture or to cruel or degrading treatment or punishment. (2) No one may be subjected to medical or scientific experiments without his or her freely given consent. (1) Everyone shall have the right to free self-realization. (1) Everyone shall have the right to an education. (1) Science and the arts, and their instruction, shall be able to exist freely. (1) Everyone shall have the right to hold his or her opinions and persuasions. Translation provided by Martin Scheinin to the International Constitutional Law (ICL) website retrieved 27 July 2004 from http://www.oefre.unibe.ch/law/icl/en00000_.html [full text available on that page]. This issue as you have written below is exactly at the heart of the discourses worldwide, where indigenous rights are concerned. It is difficult, the question reflects these issues felt in several places. Question 2 of the proposed Leistavian constitution form: Should all nationalities have equal rights? Answer Yes if all are equal, or No if indigenous rights should be different. Yes and no. An issue on Norfolk is the rights of Norfolk descendants migrating to the Island. On one hand, it's preferential treatment based on race and discriminatory. On the other, what is the purpose of a homeland if descendants aren't allowed to go home? My own feeling, using Norfolk as a model, is all residents/citizens are equal regardless of nationality, but and similar to England and Ireland, lineage gives precedence when it comes to entry and migration. Estonia is a border state in the deepest sense of the word. It has accumulated transition areas of many types of nature and culture, and therefore the concentration of different borders in Estonia is higher than in most other places in the world. We have borders such as granite base - sedimentary rocks; sea-continent; forest-field; Indo-Germanic-Finno-Ugrian; Germanic-Slavonic; Scandinavia-Central Europe. Our landscapes balance the border state. Concentration of borders, as we well know from geography, is the best indication of diversity. Besides, according to Juri Lotman, the border areas are semiotically the wealthiest. The style of woodcarving carried out on Pitcairn Island is believed to have been introduced by a Bristol shipwright who landed in 1823 and lived for many years on the island. Later, an Austrian wood carver spent some time on Pitcairn and probably modified the technique and style... The woven and plaited ware, on the other hand, has undoubtedly been handed down from the Polynesian side of the mixed ancestry, an and it is very similar to the fine woven products of eastern groups of the South Pacific. Angus McBean, Handicrafts of the South Seas. South Pacific Commission publication, date unknown. The Norfolk Island community must - as with any organic entity - continue to grow & change; although we suspect that the absolute upper limit on total population growth is around 3,000. However, we believe that the bedrock foundation of Norfolk's future demographics policy, should be a universal recognition by all concerned, that the Island was - contractually - 'vested in perpetuity' to the Pitcairn Islanders & their Descendants in 1856; & their Rights as a First Nation must be enshrined in any future constitutional arrangements. To our mind, in practical terms, this should mean - in a nutshell - that ALL legislation enacted on the Island (or directed at the Island, from offshore) must also be ratified by at least two-thirds of a 'House of Review' or 'Senate' composed exclusively of (elected) Islanders - 3 would suffice - of Pitcairn Descent, before being passed into Law; & ultimate sovereignty over the Island should remain with the British Crown. The objective here is not to discriminate in favour of Pitcairn Descendants; but to ensure that they can live with peace of mind as a minority in their own Homeland, secure in the knowledge that they will never be displaced or dispossessed. "... and I agree with you in your statement regarding green-backed beetles, wasps, rats, mice, our blighted coconuts, and our dry rot that is laying low so many of our orange trees... I recall the days when this island was practically free of noxious weeds and grasses over at Pulau, and one could walk anywhere there and pick pandanus palm-nuts, coconuts, and a lost pocketknife could be easily found... Look at any other spot on the island and what do we see - the land overrun with a score or more of unwanted and troublesome plants. Not knowing their scientific names we have called them Alwyn grass, foxtail, broomstick, cowgrass, lantana, morning glory. These and many others are eating up our land. in Friends of Pitcairn Yahoo Group [FoP] Digest Number 1681. The main cultural groups in Finland, Estonia, Norfolk Island and Pitcairn Island are: Finn, Turk, Swede, Sami, Roma, Tatar, Estonian, Russian, Ukranian, Belarusian, descendants of Bounty mutineers, English, Tahitian, Australian, New Zealander, Maori, Polynesian and others. Ian Clothier [email] - thanks to Genco Gulan. I've been doing some research about Estonian roots and it seems that lately there have been some changes in the concept of Estonian nationality - instead of coming from Ural mountains many thousands of years ago (that means that we have some Mongol descent) the latest news is that Estonians are actually very European, coming from the south - from the region of Ukraine and having DNA similarities with our closest neighbours Latvians and Lithuanians. But the fact is that Estonia has been from the 13th century almost always conquered by some other nationality, mostly Germans and Russians, but also Danish and Swedish who have had quite big influences over Estonian culture and nationality. The more traditional view of culture is that culture is fixed and what persists. Culture gets described in terms of traditional costume, traditional songs and beliefs. When culture is looked at from the hybrid perspective, change and transformation become more apparent. One thing of interest to me is the impact that DNA information has on concepts of culture. Do you know anything of the distant history of DNA in Estonia? For example, the indigenous people of New Zealand are Maori. It turns out that in DNA terms, traces to origins in Chinese DNA can be found. This goes backs many thousands of years. So here is one very distinct culture that has roots in another very distinct culture. It is very hard to see that they have any connection at all today. However, the DNA record is a sign of cultural transition over many thousands of years.